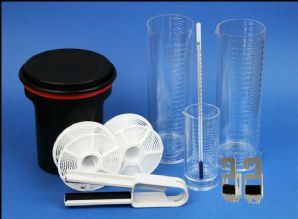 The Paterson Film processing kit offers the equipment required to process B&W film to a negative. It does not include chemicals - please see the Ag Tetenal film chemical kit as a good starter. Alternatively see our Ag Essentials film processing kit which comes with chemicals included.